This is Part 2 of our special Bay Area Ventures follow-up episode where we check in with guests from the first three seasons of the show. We start off part 2 with Martin Plaehn, CEO of Control 4, Inc. (www.control4.com). Martin made his first appearance on Bay Area Ventures in August of 2015. Back then, Control 4’s annual run rate was about $160 Million. For 2017, the company’s first quarter revenues were over $50 Million which puts them on a healthy $200 Million trajectory. Also, Control ... See More 4’s stock has more than doubled since his last appearance on our show. Control 4 manufactures automation systems and software for smart homes and offices. They are one of the fastest growing companies, if not the leader, in the emerging Internet of things and connected home technology sector. Martin is a thoughtful, smart and concerned CEO who has lectured on leadership and has been at the helm of some of earliest and most famous tech companies including RealNetworks, Viewpoint Digital and Bungee Labs. In this interview we learn what changes have occurred at Control 4 since his last appearance and how Martin has adapted his management style to deal with them. We also learn about how he divides his mind-share to achieve everything required of him as a manager and board member. In the second half of the show we’ll follow-up with Mark Chung, Co-Founder and CEO of Verdigris Technologies, Inc. (www.verdigris.co). Mark was a guest back in February of 2016. At the time, Verdigris was a young startup running on seed capital but already shipping product and generating revenue. Today, Verdigris is fresh off of a recent $7M Series A financing with backers such as Verizon and Jabil Manufacturing. Mark and his brother started Verdigris after an incident in their home where their electricity bill spiked for some unknown reason. They developed a monitoring system that can automatically detect every type of device on an electrical circuit and track and monitory its electric usage. Today, they’ve developed an industrial strength product used by hotels, factories and other commercial customers around the world. The technology sends a customer’s energy usage data up to The Cloud and Verdigris’ software helps those customers track usage and anomalies helping them to cut their energy usage by as much as 50% in many cases. Mark talks about the challenges of doubling his company’s headcount, building a world class sales team and scaling fast. It’s a real success story and Mark shares his philosophy of how to handle the stresses and challenges of being the leader of a fast company. Mark is a brilliant engineer who has worked at AMD, PA Semiconductor and Netlogic. PA semiconductor was acquired by Apple while Mark was there and Netlogic was acquired by Broadcom. Either he’s been very lucky at choosing companies to work for or, more likely, these great companies spotted Mark’s enormous talent. Now you can be the judge. This is a jam-packed show with a lot of takeaways for your business. As always, I welcome your comments and feedback. If you have questions for Martin, Mark or me please feel free to reach out and we’ll do our best to get back to you as quickly as possible. Recorded on April 24, 2017, on SiriusXM Channel 111, Business Radio Powered by the Wharton School. 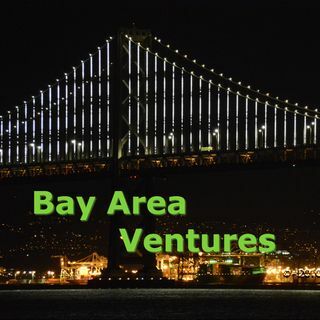 Bay Area Ventures airs live on Mondays at 4:00pm Pacific Time, 7:00pm Eastern Time. For a list of upcoming and past guest information visit www.donaldlandwirth.com and click on the Show link.